Since 2016 the Canadian Aniridia Foundation has been participating in SCOTIABANK CHARITY CHALLENGE events across Canada. We started with a single event in Ottawa 2016 and expanded to 3 events in 2017. With the help and support of our volunteers, we hope to expand our exposure to all three Scotia Bank Events in the coming years. The Canadian Aniridia Foundation was set up with a mission to seek a better standard of care for Aniridia Patients in Canada. We hope to achieve this goal through activities related to awareness, research, and patient support. We commit to help bring financial support in genetics, stem cell therapy, and tissue engineering research projects that will ultimately improve the quality of life for Aniridic patients and more successfully manage this debilitating condition. Please take the next step and show your support. Contact us to volunteer, help with fundraising efforts or make a donation. Your help and support, big and small, are alway welcomed and greatly appreciated. The Canadian Aniridia Foundation seeks to create awareness, foster research, and facilitate patient support. Aniridia is a rare genetic pan-ocular disease Being a rare disease, many of its implications remain poorly understood and patient treatments are limited and require further development. The current standards of care are less about improving sight and more about trying to maintain the vision the Aniridic patient has left. Currently, there is no cure for Aniridia. In Canada, there is a need to bridge a gap between patients and professionals that have a working knowledge about Aniridia. Unfortunately, many patients will be seen by doctors who have not dealt with complications of this condition due to its rarity. Bringing patients together with professionals who have experience with this disease will result in better long term care and preservation of sight for those patients. 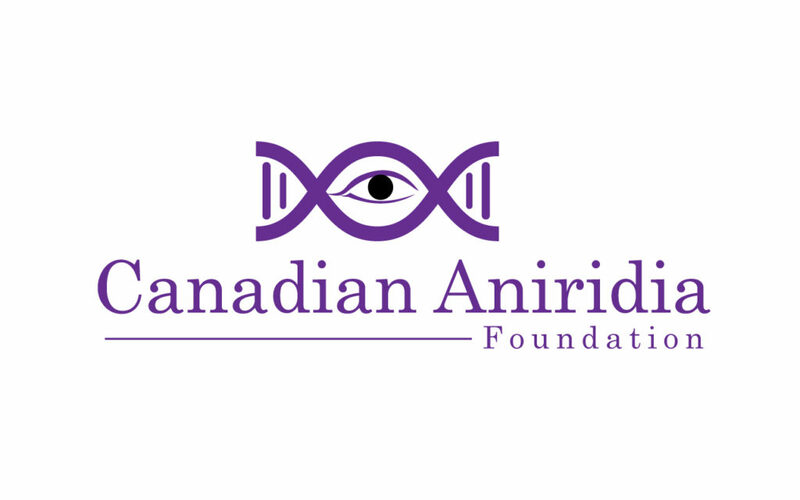 The Canadian Aniridia Foundation has a goal to fund research that may lead to treatments and cures for many of the eye conditions that are common to Aniridic patients, and possibly cure Aniridia itself. We also have a goal to provide assistance for Canadians living with Aniridia to ensure that they are able to receive the best possible care and treatments available from professionals who have the expertise in with Anirida. While research is critical in developing vital treatments and potential cures those treatments and cures are only effective when the patient is able to receive them. The Canadian Aniridia Foundation would like to ask for your support. Our immediate focus is to create awareness among professionals and identify individuals with Aniridia in Canada. If you want to get involved please connect with us, volunteer, or donate. Please take the next step and show your support. Contact us to volunteer or make a donation. Your help and support is welcome and greatly appreciated.